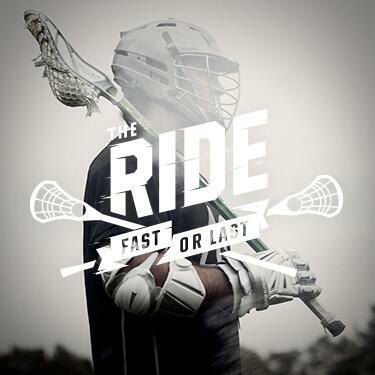 In July 2013, Nike was host of “The Ride,” an invitation-only event for the nation’s top-ranked boys and girls high school lacrosse players. The event was patterned after similar events Nike holds for football, basketball and soccer players. The events feature expert coaching, top-notch competition and, for the participants, wide-eyed access to the company’s headquarters near Beaverton. Nike also pays for participants’ transportation and living expenses. Hunt was one of the main catalysts for the Cougars, who won the North Coast Section Division I girls lacrosse championship with a 9-7 overtime victory over Amador Valley (Calif.). She finished the season with 50 goals and 46 assists. She also had 50 ground balls and won 85 draws. She was one of seven senior leaders on the team who entered the season committed to Division I lacrosse programs (she is headed to Brown) and was part one of the most talented squad in the history of the program. The Cougars finished the season 17-3, with two of its losses coming at the hands of out-of-state teams Radnor (Pa.) and St. Stephen’s & St. Agnes (Va.). 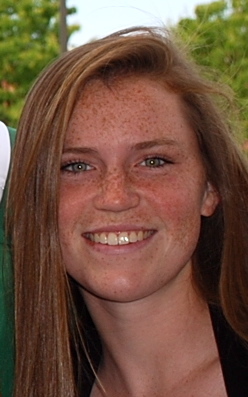 In addition, Hunt was named the Player of the Year in the East Bay Athletic League and was US Lacrosse High School All-American for the third consecutive season. The Outlaws have produced enough nuggets that the program has expanded its operations. This summer, the Outlaws have two teams, with one featuring rising seniors (Class of 2014 players who are juniors this year) and the other including rising juniors (Class of 2015). 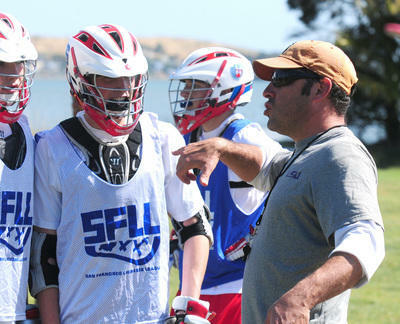 When the ALCATRAZ Outlaws were formed in 2009, the goal for coaches Dave Grose, Greg Angilly and Braden Edwards was to give top-level Northern California high school lacrosse players a chance to show top-level college coaches that they can play. The Outlaws, who train at the Marin Country Day School in Corte Madera, have relatively little time with which to make their mark. The team, which is hand-picked by the coaches after they scout players who show an interest in playing, works together for only three weeks beginning in early June. The Outlaws then head East to play in the King of the Hill and then the Gait Cup at Gettysburg (Pa.) College. By July, the players go their separate ways. But that time together and the exposure to high caliber players and college coaches is invaluable, players say. St. Ignatius Prep (Calif.) is loaded with talent, including Top 50 junior Charlie Ford. Arizona: It has usually been a two-horse race in Arizona for supremacy, and don’t expect 2012 to be different. 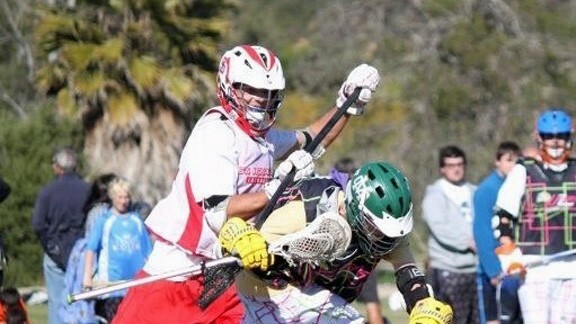 Chapparal (Scottsdale, Ariz.) is the returning state champion and is a scrappy team which plays hard-nosed lacrosse. Despite losing some stud seniors to graduation, it returns sophomore sensation goalie Alex Larson. Brophy Prep (Phoenix) will be looking for redemption and might have the most talented team in the state. The Broncos return the state’s most dynamic player, Brock Ghelfi, and best defenseman and Warrior 40 alumni Charlie Hushek. Two programs looking to make some noise this year are Saquaro (Scottsdale, Ariz.), coached by former D-II Player of the Year Brett Neal, and Desert Vista (Phoenix), which looks to build upon last year’s 12-win season, which was third highest in the state. California: The class of the west is still in California, where the talent is golden. Torrey Pines (San Diego)broke out of its shell last year to win the CIF Division I title and should be favorites again.ESPNHS 100 attackman Sean Doyle (Cornell) and midfielder Lucas Gradinger (Maryland) are big names who will provide plenty of scoring. St. Ignatius Prep (San Francisco) has been a Northern California powerhouse for years and should be no different thi year as the Wildcats’ junior class is loaded with Division I recruits, including two ESPNHS Top 50 juniors — Matt Emery (Virginia) and Charlie Ford (Georgetown). Coronado (Calif.) rebounded after a down year in 2010 to notch the CIF Division II title in San Diego. The Islanders will challenge Torrey Pines for supremacy in Southern California. The key will be how head coach Alex Cade’s highly touted but young defense plays in tough games. San Ramon Valley (Danville, Calif.) returns the best player in the state in U-19 Team USA member Michael Tagliaferri (UNC), who runs on the same midfield line as Syracuse recruit Patrick Worstell. Foothill-Santa Ana (Santa Ana, Calif.) has won 18 or more games every year since 2007. Will this be the year someone overtakes their Southern Section dominance? Colorado: The usual suspects should return in 2012, and the lead suspect is returning state runner-up Kent Denver (Englewood, Colo.). Led by All-American and ESPNHS 100 midfielder Matt Florence (Virginia) and a talented supporting cast, the Sun Devils will be favorites to capture a title. Not far behind will be Cherry Creek (Greenwood Village, Colo.), which despite losing their best player, returns an experienced senior class that won a state title in 2010. Last year’s state champion, Regis Jesuit (Aurora, Colo.), will be in the hunt again. Wheat Ridge (Colo.) and Columbine (Littleton, Colo.) have some great young talent and are on the cusp of becoming elite programs. The race for the state championship is wide open this year in Colorado and there will be many solid programs vying to be crowned as the best in the state. Idaho: Despite the small number of teams that play in Idaho, the in-state competition is fierce. In 2012, the forecast looks like there could be about a half of dozen teams in the race to be Idaho’s finest. Centennial (Boise, Idaho) returns seven starters, mostly keeping intact its defense, which shined in the second half of last season. Senior Alex Irish should only improve his impressive 64 percent in faceoff circle to lead the Patriots. Last year’s state champion, Bishop Kelly (Boise, Idaho), was hit hard by graduation, but head coach Blake Gaudet is optimistic about his young team competing behind the strong leadership from his returning seniors. Timberline (Boise, Idaho), led by head coach Tom Blanchard, is always in the hunt and had only one in-state loss last year. Boise (Idaho) had a great year and suffered three losses by a combined nine goals, so expect the Braves to be competitive again in 2012. Gonzaga Prep (Spokane, Wash.), due to its location, plays in the North Idaho Lacrosse League, and along with Eagle (Idaho) and Coeur d’Alene (Idaho), has talent coming back and should be in the hunt for the best team in the state. Nevada: Even though lacrosse is scarce in Nevada, there is some serious talent on the rise beyond the Las Vegas city lights. At the beginning of the season, three teams will be vying for supremacy. Henderson (Nev.) won 20 games last season, but its only loss in three games against Palo Verde was in the state title. After struggling midway through their season last year, Palo Verde (Las Vegas) finished the season wining its last four games and the Nevada state championship. Coach Gary Campo’s young squad has plenty of talent and will be anchored by senior midfielder Austin Collins. The Jacksonville recruit will be building off his strong four-goal performance in last year’s title game. Centennial (Las Vegas) has always been a strong program in the state and will have one of the best young talents in the West on their squad. Sophomore Justin Anderson will be looking to build off his impressive showings at fall tournaments to lead the Bulldogs offensively. As Bishop Gorman (Las Vegas, Nev.)is becoming a sports powerhouse, the next sport could be lacrosse with budding star Mason Roik as the future. Oregon: Once again in Oregon, the road to the state championship runs through Lincoln (Portland, Ore.). The Cardinals, who have not lost an in-state game since the 2009 state championship, will be looking for a three-peat. They are in good hands with the state’s best player, Denver recruit and ESPNHS 100 selection attackman Michael Marcott. Besides the Cardinals, there are many teams vying to compete for a state championship. Could this be the year Sunset (Beaverton, Ore.) finally wins? Despite its record last year (11-11), West Linn (Ore.) gave Lincoln its toughest game last year. Oregon Episcopal (Portland, Ore.) has two experienced attackmen in Trevor Garner and Martin Winter to provide leadership and scoring. Utah: The new year brings upon new change in Utah with new conference re-alignments. After the changes in the conferences, the Sandy Division looks to be the toughest. The division members are: Alta (Sandy, Utah), Bingham (South Jordan, Utah), Copper Hills (West Jordan, Utah), Jordan (Sandy, Utah) and Juan Diego (Draper, Utah). Last year’s state champion, Brighton (Salt Lake City), had a stellar defense down the stretch. And if it starts 2012 how it finished 2011, it could repeat as state champions. Juan Diego has some nice talent in the junior and sophomore classes, but their senior leadership will be the difference. After last season’s disappointing finish in the state semifinal, Alta will have a chip on their shoulder to take the next step despite losing its best player. Washington: Slowly creeping up behind California and Colorado in talent is the Evergreen State. Not much will change from the hierarchy in years past, but some programs look to make the jump into the conversation. Issaquah (Wash.) will rely on its defense led by Air Force-bound goalie O’Neill Hughes and long stick midfielder Kole Lindor, who wrecks havoc between the lines. Bellevue (Wash.) has an established defensive unit led by Sam Leggett and a handful of sophomores and juniors, which will need to produce plays for the Wolverines to claw their back to a state championship. Arguably the best program in the state, Mercer Island (Wash.) looks like it will face a rebuilding year with only two starters returning. One program to never count out is Jack Visco’s Bainbridge Island (Wash.) squad, which returns captain Jake Knostman and sophomore goalie Reynolds Yarbrough, who made a big splash at the end of the 2011 season. In Division II, it looks like Three Rivers (Redmond, Wash.) will be the team to beat with a top-notch offensive unit. After making the playoffs for the first time in their 12-year history North Kitsap (Poulsbo, Wash.) returns nine starters. Attack: Jack Beall, Jr., Camas (Wash.); Wilkins Dismuke, Jr., Rock Canyon (Colo.) Johns Hopklns; Jake Gonzales, Jr., Columbine (Colo.); Lucas Gradinge, Jr.,Torrey Pines (Calif.), Maryland; Chase Warner, Jr., Tesero (Calif.). Midfield: Justin Anderson, Soph., Centennial (Nev.); Kieran Eissler, Jr., Henderson (Nev.), Johns Hopkins; Matt Emery, Jr., Saint Ignatius (Calif.), Virginia; Colin Macllvennie, Soph., Eastside Catholic (Wash.), Maryland; Eduardo White, Jr., Kent Denver (Colo.), Georgetown. Defense: Chris Carter, Jr., Torrey Pines (Calif.), Notre Dame; Charlie Ford, Jr., Saint Ignatius (Calif.), Georgetown; Matt Jungemann, Jr., Juan Diego Catholic (Utah); Kyle Mummau, Jr., Coronado (Calif.); Brian Wegner, Jr., Regis Jesuit (Colo.), Denver. Goalie: Russel Bartle, Jr., Highland (Ariz.), High Point; Jared Bauman, Soph., Lincoln (Ore.); Jake Kennedy, Jr., Torrey Pines (Calif.). Last year, two teams from the West Region finished the season ranked in the FAB 50. And with several players from the West being represented in the ESPNHS 100 and playing tough interstate games, that number could be exceeded in 2012. Games pitting Colorado against Maryland and California against New York will go a long way with voters in determining how teams from the West should be represented in the rankings. Kylie Drexel from Davis (Calif.) is among the best players in the West Region heading into the 2012 season. Arizona: Chaparral (Scottsdale, Ariz.) returns sophomore Scarlett Sulliman, who scored a crucial goal in the state championship game and helped the Firebirds to their second straight Division I state championship. Horizon (Scottsdale, Ariz.) returns five starters from it’s 12-2 team and should boast a strong defense with sophomore Sydney Duke and goalie Tori Hawk. Notre Dame Prep (Scottsdale, Ariz.) looks to defend its Division II championship. The Saints may be one of the best turnaround stories in high school lacrosse. After winning two games in its first four years as a program, coach Laraine Pizzi has led the team to 23 wins over the last two seasons. California: Carondelet (Calif.) returns nine starters from the North Coast CIF I champions and is riding an 18-game winning streak. Brown commit Kerianne Hunt returns to the midfield. Carondelet boasts a tough schedule this year with games against several of the top teams in Colorado, including the defending state champions, Cherry Creek (Greenwood Village, Colo.). Coronado (Calif.) returns six starters from the San Diego CIF II championship team. The 2012 team will be young with several sophomores and juniors expected to see significant playing time. Senior goalie Meganne Weissenfels returns in goal to provide stability on defense. Menlo School (Atherton, Calif.) returns nine starters from an 18-6 team, including USC commit Michaela Michael at midfield. Also returning is Dartmouth commit, Sophie Sheeline at attack. Rancho Bernardo (San Diego) welcomes a familiar face as its new head coach with the hiring Chelsea Barrow. The first year head coach has been with the program for four seasons and takes over a team that returns seven starters from last season’s 21-2 team. ESPNHS No. 20 goalie Hannah Sieger returns along with three returning starters on defense. St. Ignatius Prep (San Francisco) finished 17-1 and ranked as the No. 1 team in California by ESPNHS last season. The Wildcats graduated its top three scorers and the starting goalie from that team, but return sophomore Kate Mattimore, who scored 30 goals last season. Kaitlin Swagart enters her second season as head coach atTorrey Pines (San Diego) after leading the team to the San Diego Division I CIF last season. Seven starters return, including defenders Kiana Drawhorn and Sarah Poteet. Colorado: Air Academy (USAF Academy, Colo.) finished as state runners-up last season and return Denver Post All-Colorado first team member Miranda Beal. The senior attacker was fifth in the state with 98 points last season. Also returning is senior Kenzie Baer. 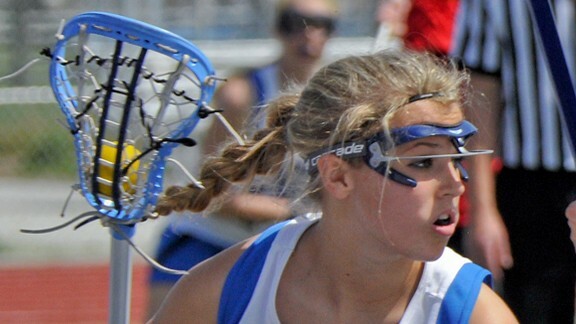 Centaurus (Lafayette, Colo.) returns Duke commit Emma Lazaroff who led the state with 142 points (111 goals, 31 assists) last season. Cherry Creek (Greenwood Village, Colo.) has won the last two state championships, but graduated three players who earned Denver Post All-Colorado first team honors, including Player of the Year Bailey Zerr. The good news is the Bruins only graduated six players from that team and return first team selection Anya Gersoff, who totaled 114 points (84 goals, 30 assists), along with honorable mention juniors Mara Bandt-Law and Elsie Humer along with sophomore Blair Sisk. J.K. Mullen (Denver, Colo.) returns seven starters and should boast a strong offense with the return of midfielders Molly Erdle (Boston College) and Madison Khanna (Johns Hopkins). Kent Denver (Englewood, Colo.) returns two seniors who earned All-Colorado First Team honors last season: Lucy Dikeou (70 goals, 28 assists) and Lucy Mower (27 goals, 24 assists). Also returning is senior goalie Kristen Kolberg, who played in nine games and recorded 72 saves. Billy Corbett takes over as head coach at Regis Jesuit (Aurora, Colo.)this season. Four players are committed to Division I colleges: Catherine Blumhardt (Oregon), Courtney Gielow (Cal), Emi Smith (Penn State) and Erin Sungelo (Yale).Idaho: Bishop Kelly (Boise, Idaho)has won three straight state championships and return seven starters from last year’s 16-2 team. Six of the returning starters have been playing on the varsity team since their sophomore year. The Knights will have new head coaches this season with Kevan Grant and Elise Talboy taking over for JoJo Brunelle.Oregon: Lake Oswego (Ore.) returns eight starters from the state championship team, including Coastal Carolina commit Paige Timberg. Oregon City (Ore.) returns seven starters and most of its defense from last year’s state runners-up. Senior attacker and Colorado Mesa commit Alyssa Albrich leads the offense. Utah: Alta (Sandy, Utah) has won three straight state championships and returns six starters from last year’s team. The sideline will look different this year as Jeff Gorringe takes over as head coach. Washington: Bainbridge Island (Wash.) returns six starters from last year’s undefeated Division I state championship team. Junior goalie Maddie Stevenson is a three-year starter and is receiving heavy interest from several Division I programs. Ballard (Seattle) returns six starters and should be strong in the midfield with juniors Jessica Bryan, Julia Hanson and Sophie Mora. Bellevue East (Bellevue, Wash.) returns 10 starters from last year’s Division II state championship team. The 2012 team is expected to have a potent attack with the return of its top three goal scorers. Bellevue returns four players who were first Team all-state: Elena Becker, Kayla Miller, Camille Sullivan and Sophie Wolz. Evergreen (Vancouver, Wash.) enters its second season as a varsity program and returns five starters. Senior Jocelyn Cole returns to the midfield. Issaquah (Wash.) finished 7-5-1 last season and returns eight starters, including its entire defense. Lakeside (Seattle) returns six starters, including seniors Sarah Drucker (attack) and Emily Kim (defense). Lake Sammamish (Redmond, Wash.) returns 10 starters from last year’s 3-1 team. Offense should be a team strength with senior attackers Allison Clement and Zoe Escard. Roosevelt (Seattle) returns seven starters, including senior Meredith Harris. Attack: Haley Mincin, Jr., Issaquah (Wash.); Annie Schindler, Soph., J.K. Mullen (Colo.). Midfield: Camille Doan, Soph., Torrey Pines (Calif.); Kacey McKinnnon, Soph., Torrey Pines (Calif.); Kayla Miller, Jr., Bellevue East (Wash.); Emily Mincin, Jr., Issaquah (Wash.); Ella Stapp, Jr., J.K. Mullen (Colo.); Camille Sullivan, Soph., Bellevue East (Wash.). Defense: Elena Becker, Jr., Bellevue East (Wash.); Sydney Duke, Soph., Horizon (Ariz.). Goalie: Tori Hawk, Soph., Horizon (Ariz.); Hannah Rubin, Jr., Menlo School (Calif.); Maddi Stevenson, Jr., Bainbridge Island (Wash.); Laura Voss, Jr., Issaquah (Wash.). Two teams from the west finished last season in the POWERADE FAB 50: Cherry Creek and St. Ignatius Prep. Colorado should earn at least one bid during the early part of the season from voters, but whether that will be Cherry Creek or one of the other viable contenders from The Centennial State will likely depend on Creek’s early games against some of the top teams from California. Speaking of California, the Golden State was up in the air for much of the season as teams continually beat up on one another. In the end, St. Ignatius finished 2011 as the No. 1 team by ESPNHS, but 2012 could once again come down to the end of the season. His situation was turned on its head when former SU superstar Ryan Powell, who was playing pro box lacrosse for the Portland LumberJax, coached Schoonmaker’s club team. playing on the second midfield line for one of the nation’s Division I lacrosse powerhouses. There was little reason to, even though Schoonmaker was a 2010 U.S. Lacrosse All-American and the Oregon high school player of the year. 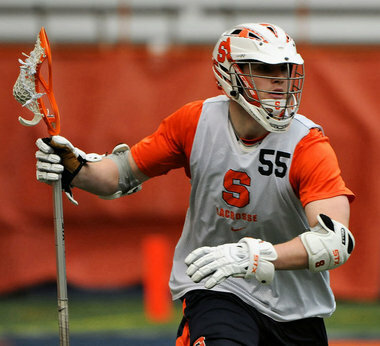 He was excelling in the one of the nation’s most distant lacrosse outposts, and an illness during his sophomore year prevented him from attending the high-profile camps in the East that are essential for young talent hoping to be discovered. Powell’s recommendation eventually found the ear of SU recruiting coordinator Lelan Rogers, and Schoonmaker arrived on campus in September 2010, one of 50-plus players on a veteran team that was one year removed from a national title.